This colour cocktail is a timeless classic. A fail-safe combination that magically always works. 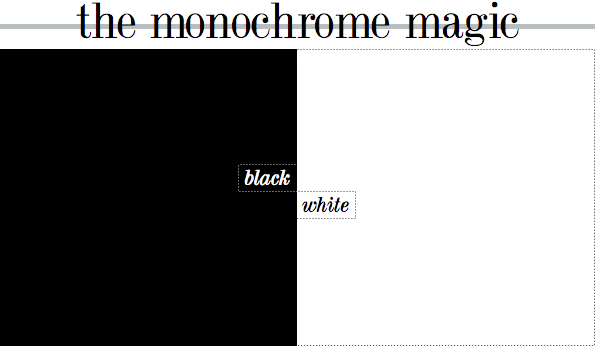 It sees varying shades of black combine to create striking schemes worthy of the glossiest of shelter publications. This monochrome interior holds an eternal style card; an everlasting trump card, continually outlasting the latest trend or must-have styles. Here we see the scheme at work in a home office space, where jet black hues have been used in matt finishes to maintain a masculine feel - adding in gloss surfaces would soften the look. Meanwhile, graphic pattern is used as this lends itself well to a striking black and white colour palette, which all helps to create the monochrome magic. I'm so excited to see Colour Cocktail return - cheers, friends! The bottom left is my dream office! Perfect. LOVE this Will! I think you are as obsessed with colour combos as I am. 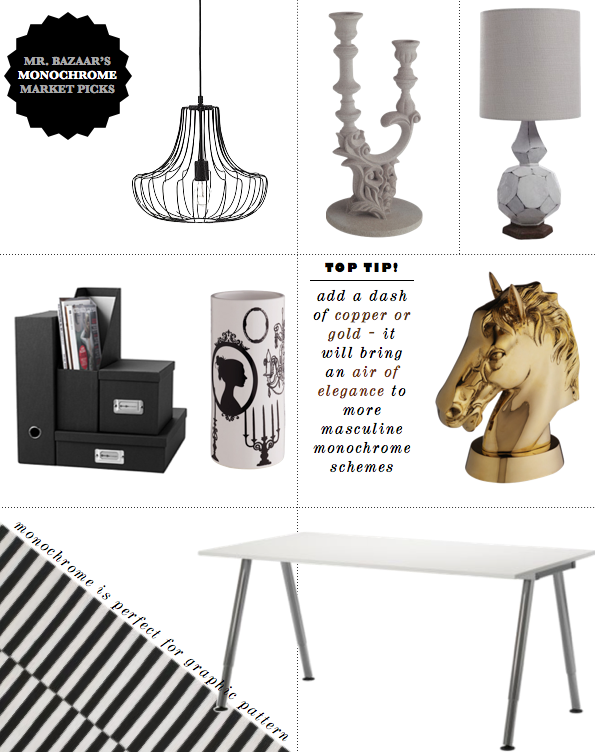 Monochrome with gold accents is my fave at the moment- I want that horse head! So chic! I love a black and white stripe and that brass horse head - wow! So happy the series is back as well! Wow, I'm loving the pieces! 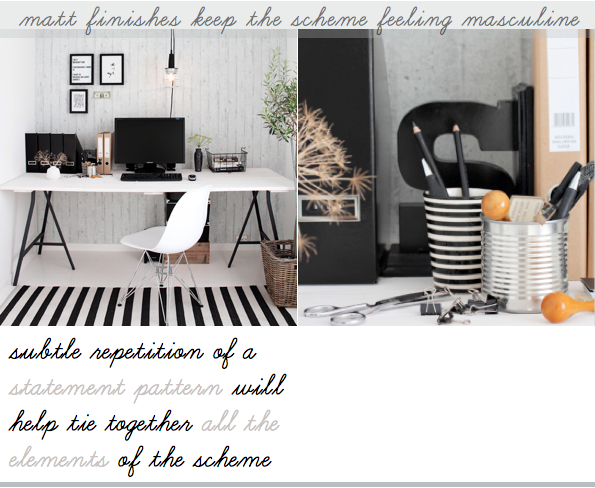 As much as I love colour, the old black & white magic gets me every time! I LOVE these images. Thanks Will. Beautiful collage! I love the lamp, and the Ikea Stockholm Rand rug is becoming a real classic. The eye doesn't get tired of it, even though it is in so many interior photos. agreed. i love the gold/metallic pop... and love that you could swap out the pop color seasonally for a new look. Usually not a fan of black in deor, but TOTALLY works her. Love the tip about a dash of copper or gold. I've been adding blingy broze to EVERYTHING lately! Love the light fixture and the gold horse head! I've been eying that striped rug for ages. I just wish I had somewhere to put it! I just discovered this post Will, and I´m so happy that you have used these pictures. Thank you. Love your collage as well.